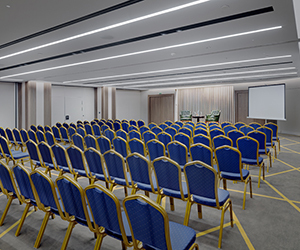 AFEA, Erasmus and Era, active members of IAPCO (International Association of Professional Congress Organizers) in Greece, and established companies in the Meetings Market, joined forces to organize a very successful IAPCO Edge educational seminar in Athens. 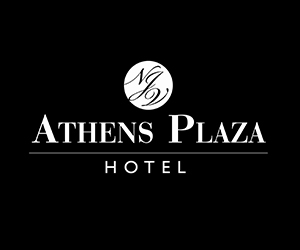 On December 7, and during the “Treasures of Greek Tourism 2017” award ceremony that took place in King George Hotel Athens, the 3 companies have been awarded with the “Best Performing Companies” award for this collaboration. 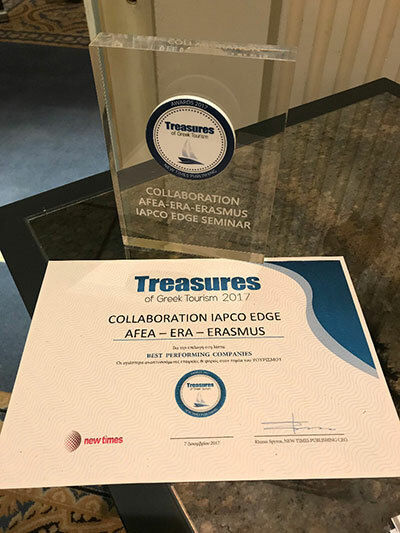 This award is a very important distinction for all three companies as well as a recognition of the positive results of an effective collaboration in the Meetings Industry. The award ceremony was attended by industry representatives and key stakeholders of the Greek Tourism & Meetings Industry, such as hotel chains, PCOs, DMCs, DMOs, and all linked professionals. This newly established institution awarded the healthiest developing businesses and agencies in Greece’s tourism industry based on specific economic indicators and business initiatives, while taking also into account factors such as their policies in human resources and their corporate social responsibility. 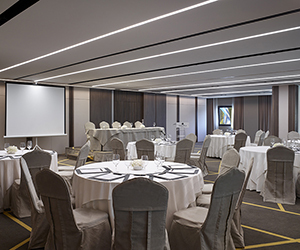 It needs to be highlighted that this recognition followed a «certification of best practice» which the 3 companies received as finalists from IAPCO during the “IAPCO Driving Excellence Award Ceremony”. The Award Ceremony took place in Barcelona, on 27th November, and on the occasion of IBTM Exhibition.